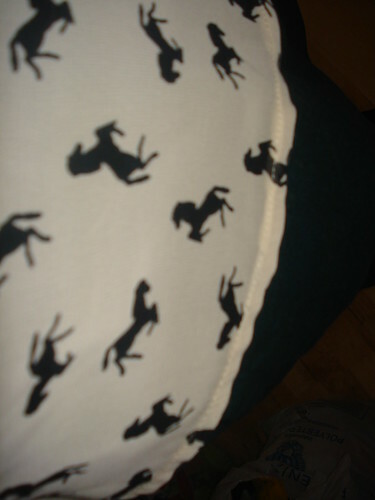 t*rexes and tiaras: wild horses couldn't drag me away..
when this horse print blouse arrived in a little parcel of loveliness from matalan, i couldn't wait to wear it..i decided to brave it with a pair of green chinos from new look a while back, and my favourite black heels..
then i realised it was -7 outside, and perhaps a see-thru blouse wasn't the wisest choice i'd ever made, but i added a coat and a cardigan, and stayed as warm as i could at my desk..
am i the only one who thinks something is a good idea until i leave the house? I am still wearing pumps. PUMPS! No socks! 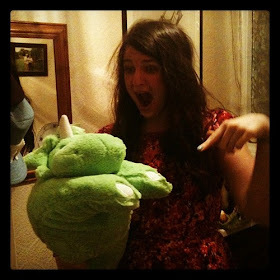 am I mental!? I get outside and I'm like, argh whyyyy didn't I put boots on!! Blimey it sounds cold in the UK! 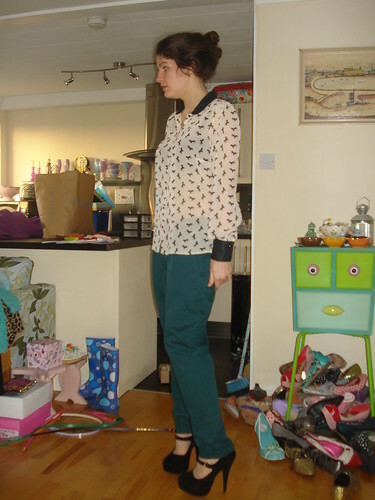 Loving the green chinos though! 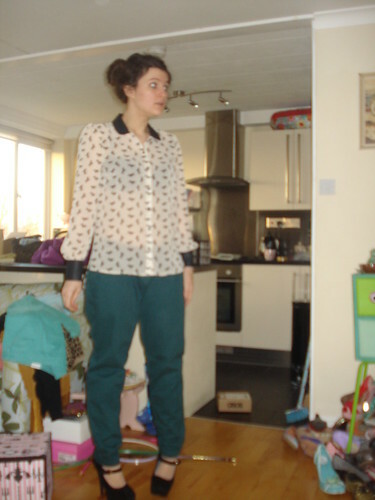 Love this outfit, the blouse is so cute with those chinos, and the shoes are just amazing!! Haha I did that the other day too, put on a sheer blouse when it was freezing outside, never mind!! I'm always going out and thinking 'that was a bad choice'. Mind you, having hot flushes doesn't help! And it's like packing...Vix knows what to pack for Kerala. Me going to Manchester? Need to cover every eventuality from sun to snow with a good dose of rain thrown in for good measure!! Keep warm and safe, (if you're driving in this icy weather), this weekend. Love the blouse, is it a current item in matalan, as I want one! I can't leave the house without my uggs and 3 pairs of socks! But I do carry my heels with me! 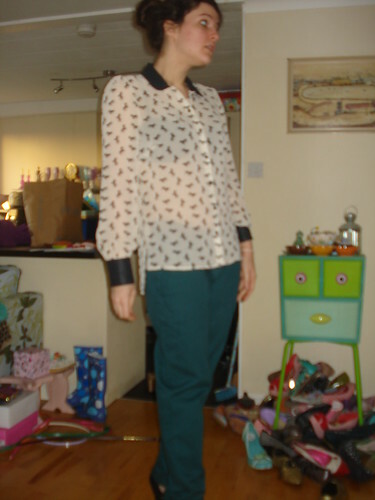 Classy look here Char, love the horse print blouse. I am only too aware of the weather before I get dressed. Where is your thermal vest?? tsk tsk! Those killer heels look AMAZING on you. 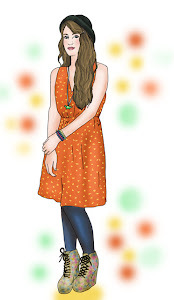 Love the blouse, I'm always underdressed, people always say 'aren't you cold?' and I'm not because I chose between dressing the way I wanted and being warm, so my PRIDE keeps me toasty.